Amazon may be getting all the attention in the Japanese ebook market (from the English language blogs, anyway) but they're not the only ebookstore active in the market. 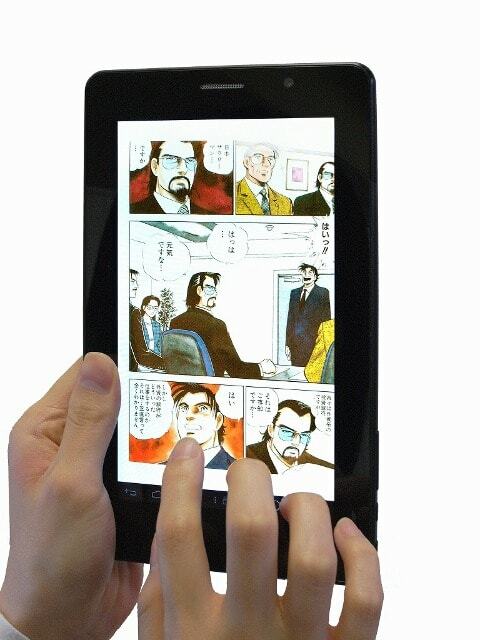 eBookJapan, one of the early pioneers in the ebook market, has just announced plans to release an Android tablet. Details are still scarce at this time, but the tablet is expected to be released in December. This site has already released OSX, Android, and iOS apps, so it seems likely that this tablet will ship with eBookJapan's Android app. They have not said anything about the price or specs, though one source does indicate that the price will be competitive. About all we now right now is that it will have a 7" screen, which should be about the right size to display Manga. eBookJapan stocks around 65 thousand titles (mostly manga). Has anyone used this site? How does it compare to the major ebookstores?